Comfort, laughter, and good health are things adults need to invest in during their senior years. Being emotionally well can lead to a better quality of life, helping seniors stave off cognitive decline. Here are some of the ways you can boost your elderly loved one’s emotional wellbeing. Going through physical changes is something all seniors experience at some point, but this can be mentally and emotionally challenging. Change is a normal part of the aging process, and seniors need to accept their limitations. Worrying about losing independence could have a negative effect on your loved one’s emotional wellbeing. Help your loved one understand that accepting assistance from others doesn’t take away the ability to make decisions pertaining to daily life. Explain that receiving extra assistance could preserve his or her health and increase longevity. When seniors understand the benefits available to them, they may stress less over losing some of their cognitive abilities. Aging adults who require assistance with the tasks of daily living can benefit from reliable home care. Montgomery, AL, families trust in Home Care Assistance to provide the high-quality care their elderly loved ones need and deserve. Our caregivers are trained to help seniors prevent and manage serious illnesses and encourage them to make healthier decisions as they age. Envy is a negative emotion many seniors experience, and it can lead to anger, resentment, and sadness. However, aging adults can reduce these negative emotions by praising themselves from time to time. Encourage your loved one to applaud him or herself when he or she does something good, regardless of how small or large the accomplishment may be. When seniors practice self-appreciation, they can increase their self-confidence and maintain a sense of purpose, which could lead to better emotional health. Many seniors don’t live life with passion because they give up on socialization and isolate themselves from others. Isolation is bad for their emotional health, and it can also lead to physical and mental issues such as stress, obesity, and poor heart health. Older adults need to remain happy, joyful, and inspired in their senior years, which is why they should find the right people to socialize with and live in the moment instead of stressing over the unknown. Help your loved one find activities to get involved in so he or she doesn’t sit around the home feeling disappointed. Living life with passion may help your loved one stay motivated, excited, and positive about life. Family caregivers need to focus on their own emotional wellbeing as well. Families who find it difficult to care for their aging loved ones without assistance can benefit greatly from professional respite care. Montgomery, AL, family caregivers who need a break from their caregiving duties can turn to Home Care Assistance. Using our proprietary Balanced Care Method, our respite caregivers can encourage your loved one to eat well, exercise regularly, get plenty of mental and social stimulation, and focus on other lifestyle factors that promote longevity. Exercising can help your parent maintain a clear mind and a positive attitude. Working out increases energy and decreases stress. Physical activities can also build resilience, helping your loved one handle the daily challenges that come his or her way. Yoga, dancing, and water aerobics are good physical activities that can boost your parent’s metabolism and enhance his or her mood. Seniors can also boost their emotional wellbeing through physical activity by doing more chores around the home instead of relying on family caregivers to help with cleaning, meal prep, laundry, and other tasks. Aging adults need to do as much as they can on their own to stay mentally stimulated and actively engaged. In Montgomery, elderly care agencies can be a great boon to seniors. With the help of the caregivers at Home Care Assistance, your aging loved one can lead a happier and healthier life. 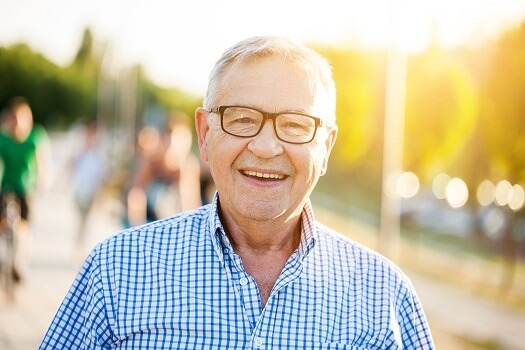 We offer a revolutionary program called the Balanced Care Method, which encourages seniors to eat nutritious foods, exercise and socialize regularly, and focus on other lifestyle factors that increase life expectancy. To learn about our home care plans, give us a call at (334) 593-3988 today.